One of the Star network’s famous channel is Star Plus. It telecasts so many entertaining serials, reality shows, crime stories, etc., Another addition to this list is the new serial which is airing in 2019. This serial name is Dil Toh Happy Hai Ji. Audience are waiting for these kind of serials. Let us see some more details about this serial in this article. Star Plus started a new serial this year which is currently airing. It has some popular stars acting in it. It is produced by the top producer Gul Khan along with Nilanjana Purkayassth. They have already produced a popular show, Kullfi Kumarr Bajewala. They have joined again for another serial. “Dil Toh Happy Hai Ji” is a romantic family drama. The story of Dil Toh Happy Hai Ji revolves around a happy young girl named ‘Happy’ and 2 guys. According to some sources, it is a triangle love story. Happy character is cheerful young lady and she tries to avoid anything that keeps her away from happiness. Her lead male role is Rocky who is arrogant rich guy strongly disagrees with Happy. His Best friend is a foodie. The show started to air from January 14th 2019. The show replaced Miriam Khan’s timing. It is currently airing from Monday to Friday at 7:30 PM. The lead character name is Happy. 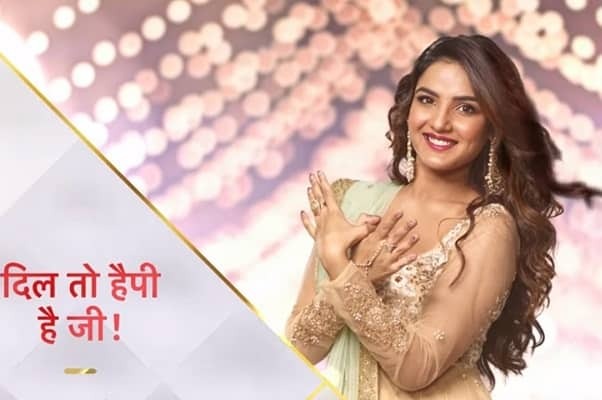 This character is played by famous actress Jasmin Bhasin. Alongside her, the male lead character is played by Ansh Bagri. His character name is Rocky. His character is arrogant rich guy. His best friend character is Daddu who is a foodie. Daddu is played by Himanshu Jinsi. Audience are all set to watch this family drama. It has already got good ratings. Let us stay tuned to the show daily at 7:30 PM.